WE WILL BE TAKING A BREAK FROM THE CHARITY CYCLE IN 2019 BUT ARE LOOKING FORWARD TO RETURNING IN 2020! Many thanks to everyone who came down to support us in 2018, it was a great day but very, very hot! If you took part in the 25 mile ride, please click here ‘ Results ‘ for your ride times. 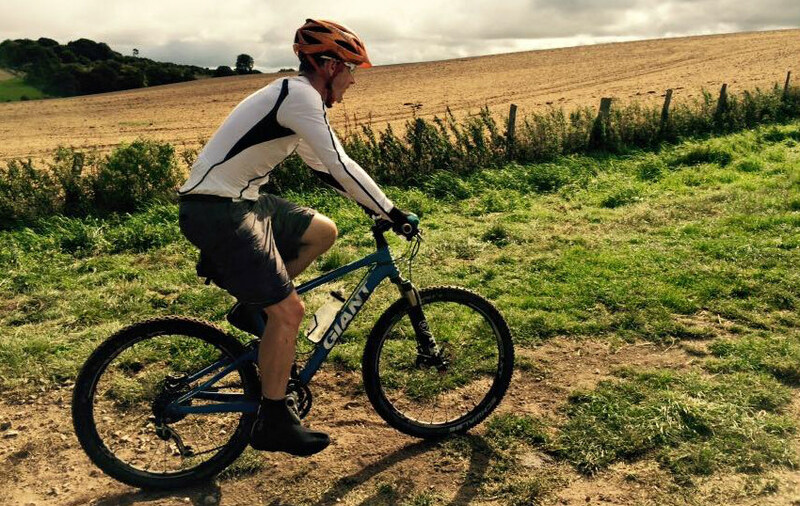 Enjoy the beautiful scenery of Berkshire’s downland countryside by taking part in the 25 mile mountain bike challenge. Join us in the recreation ground after the ride to celebrate our 50th Birthday. BBQ and Bar, plus entertainment and attractions for all the family. More information to follow……. Routes are well marked and marshalled. Teas & coffee available from 9:00am. BBQ, bar and entertainment available from 12 noon. This year we are raising money for new play equipment for the pre-school. A challenging, 25 mile, mostly off-road Mountain Bike ride set in the beautiful chalk downlands countryside, around Compton, West Berkshire. Registration will open from 9:00am. Minimum age of entry is 16 years on the day of the ride. Riders between the ages of 16 and 18 years of age must be accompanied by a fee paying adult. There will be an aid station on the route. From the M4, leave at junction 13, and head northbound on the A34. Take the exit towards East Ilsley / Compton. In Compton turn right along Manor Crescent, and then take your first left along Burrell Road. The village hall will be on your left. Parking is available at the rear. The recreation ground is next to the car park. The Compton Charity Cycle Ride is a Non-Competitive Event and participants are required to be courteous in their conduct when overtaking. Report any witnessed accident or breakdown to the nearest marshal. All riders should display their rider number on the front of their bike. Riders should cross the finish line and ensure that the organiser has recorded their ride number. All riders must wear a CE approved hard shell helmet at all times and be suitably prepared for the prevailing weather. The safety of any child is the sole responsibility of the parent/guardian. All riders between the age of 16 and 18 years old must be accompanied by an adult. When cycling on a road, participants must abide by The Highway Code and should not cycle more than two abreast. Inform us if you retire early. There is a phone number on the back of your rider number. Be courteous to all Marshals and obey them when you are asked to stop. Sponsor or matchfund this great event! Your sponsorship helps to cover the event costs so that even more money is raised for the pre-school. Please get in touch if you would like to sponsor the event. If your company offers match funding, we would love to hear from you. It really makes a difference.